In its Wikipedia entry Colne, Lancashire, 6 miles north-east of Burnley lays claim to the origins of a leading member of the Titanic’s orchestra the founder of the Hartley’s jam factory, an ex- Man United footballer, a world 500cc motocross champion, an Olympic bronze medal track cyclist, an English test cricketer and a member of the cast of ‘Hollyoaks’. 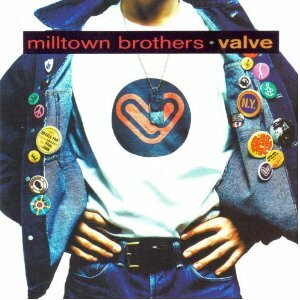 No mention is made of The Milltown Brothers, but then they, more than most, would not be surprised at the oversight. However, a band with three albums to their name and two iconic singles should not be allowed to slink into obscurity quite that easily. 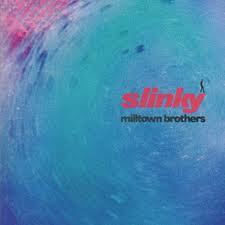 1989 was the year that heralded the emergence of Matt Nelson, brother Simon, James Fraser, Barney James and Nilan Brindle on their first EP ‘Coming From The Mill’, a release swiftly acclaimed as single of the week by the NME. 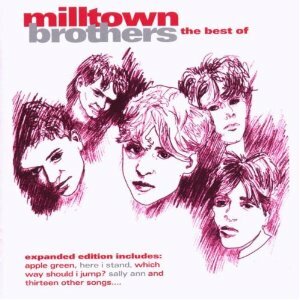 Follow up, ‘Which Way Should I Jump’ kick-started a poker game between record labels vying for The Milltown Brothers signatures, the band eventually signing to A&M before re-recording ‘Which Way’ and sitting back to watch it reach number 38 in the UK Charts and number 10 in the US Rock Charts. Debut album ‘Slinky’ drew a 5 star rating from Q Magazine and the band took to the road, seemingly on track to the ‘big time’, only to hit a technical brick wall that was to stall their career. The single, ‘Here I Stand’, was ruled to have infringed upon the Chart rules by being available in independent record stores in advance of its official release, the result being the cancellation of a planned appearance on Top Of The Pops and a marked change in attitude of their record label; so marked in fact that that it would be two whole years before A&M could be persuaded to put out the band’s second album, ‘Valve’. Resultant reviews did not help the band’s cause, despite the band’s claim that the format of the release was in contravention to the their wishes, and there followed an extended hiatus from any new activity while A&M continued to release non-band authorised singles. 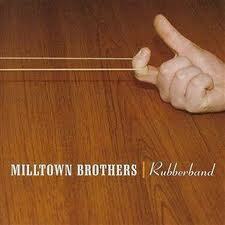 Eventually The Milltown Brothers and A&M parted company and it would be ten years before the band’s third album, ‘Rubberband’ would see the light of day. Following the final cessation of activities by the band Simon Nelson went on to found a new project ‘Sixtyfivemiles’. Matt Nelson and Barney James attended the same nursery school as each other.